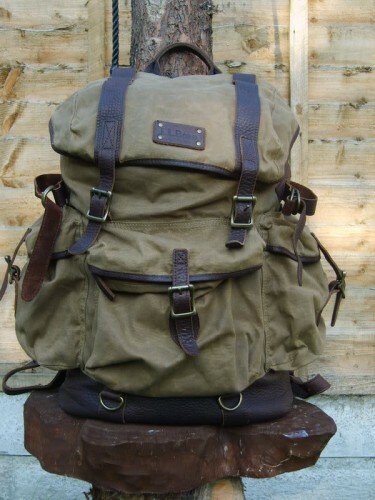 Check out this fresh Rucksack from L.L. Bean. Modeled after a 1930s design made popular by expeditions to the Swiss Alps, the bag is made from water-proof waxed cotton with an authentic leather trim. The price is too good to beat at $99; it’s is available now from L.L. Bean, so whether you’re planning a trip to the Alps or or just need something to carry your books in, check it out.